I had bought a romless Geforce 9600M GT 1GB MXM II card by accident, and really wanted to see if I could get it to work on my Acer Aspire 7720G laptop. In the past I have tried many times to integrate the vbios into the Acer bios of my laptop. Unfortunately, even though I am very sure I have used the correct vbios and also inserted it in a correct way, the laptop still wouldn’t boot with visual output. Recently I retried this process, and it still didn’t succeed. Luckily I came across a bug report that showed that with Nouveau (the Linux Open Source Nvidia driver) it’s possible to specifiy the vbios that Nouveau loads. So basically you can start the videocard with any bios you supply from disk. This gave hope to be able to at least test the videocard before selling it to someone else who had a proper supported laptop. Basically what I did was prepare a external harddrive with a ubuntu installation that had SSH enabled, so I could login to the laptop after it was booted (we have no graphics, so we can’t see anything otherwise). After booting up I copied the proper vbios file using WinSCP and then copied that file to /lib/firmware. Then I removed the nouveau module and reinserted it into the kernel with the vbios file as argument. It did load! We still had no visual output, but dmesg | grep nouveau did show that the card was detected, and everything was ok. The only thing left to do was to restart X11, which you can do by restarting lightdm on Ubuntu. sudo /etc/init.d/lightdm restart. And wow, it just worked! Suddenly the mouse pointer came up and the ubuntu desktop loaded. Everything worked without problems, also lmsensors did display the temperature of the card etc. Really really great! Still, you have no output in the bios/the boot process etc. But this way you can definitely test if a romless card works or is faulty. Note that this ‘trick’ only works for Nvidia cards, since Nouveau is the open source driver for Nvidia cards. It might be that the open source AMD drivers have a similar option. This will install the required 32 bit libraries you’ll need to run geekbench in 32 bit mode. I have a DSX card in my server that worked ok on Windows, however I have now switched to Ubuntu. Although the ALSA page states that the DSX card has no driver yet, it turns out this is not the case. Ubuntu 13.04 has it in it’s kernel, so you only have to install alsa to get going. Only the 4 first steps are needed. on the front channel and now it should produce sounds! We just released Addons Detector 3.8. Main improvement is a Spanish translation kindly contributed by one of our Spanish users. Currently Addons Detector has 220.000 active users and is downloaded more than 500.000 times. We really enjoy working on it, and hope to stay on top as the best way to detect nasty advertising spam and other less intrusive SDK’s! I was struggling today with a memoryleak in a application I am building for a client. The app is very heavy on memory, because it uses a lot of images. It took me more than a hour to find the cause of it. It turns out that I didn’t cancel my Timer.scheduleAtFixedRate() TimerTask that updated a dynamic part of my UI. If you are struggling with memoryleaks as well, make sure you install the eclipse addon : “Memory Analyzer”. If you have that one installed, you can use DDMS in Eclipse to dump a hprof file, which automatically get’s opened and you can then get lots of usefull info on your leaks. Use the “dominator tree” to show the largest items in memory, and right click on them and select “Path to GC roots => With all references” This shows what’s keeping them in memory. I couldn’t find my leaks at first, because the Path to GC roots, didn’t include any obvious Context leaks or so (the normal stuff that causes memory leaks: static Context/Activity values). However, after an hour I realized that the “TimerTask” I first dismissed as some Android internal stuff, actually was the cause of my issues. I then made sure to “cancel()” my timertask in my activity’s “onDestroy()” method, and things turned to normal! I have a little home server running in my livingroom, and I recently installed Windows 2012 Server on it. Because it’s always on I figured I could use it as a Airtunes receiver too. I installed shairport4w as a service and now it runs great! However, I wanted to try a better soundcard for it, so the audio quality would be even better. Therefor I bought a Xonar DSX. Unfortunately this soundcard wouldn’t install when I ran the windows 8 drivers. It gives a message that the OS is not supported. Strange, since it’s the same as Windows 8. Probably a case of a little too strict checking. Download Windows 8 driver for your Xonar card. Save and run the setup in the same folder. It will now install and work ok! This will probably also work with DGX, DG, DS, and other Asus Xonar cards. Fretter 1.4 for iOS brings new reverse finder! The update for Fretter to make it more like it’s brothers on Android and Windows Phone is almost done. 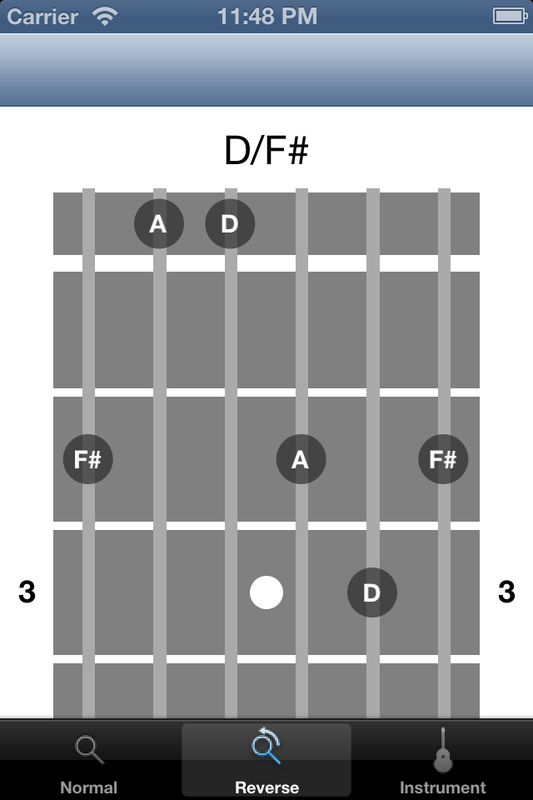 Fretter 1.4 for iOS features a new reverse finder where you can select the notes on a fretboard, instead of using a pickerview. 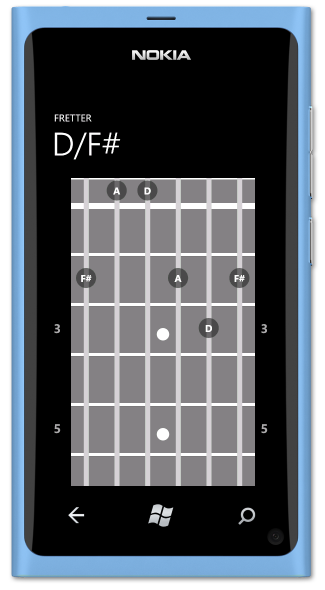 WP7 users can rejoice, reverse chordfinding with Fretter is going to be just as easy as on the Android version! The 1.9 version with this new reverse finder is live! Fretter for iOS 1.3.3 has been submitted to Apple for review. It fixes a crash in the instrument selection view related to custom tunings. Fretter 1.3.3 has been approved and is available now.